The end of preliminary rounds have arrived with the end of day five. If you don't want to know what's ahead then don't click below because... Spoilers. 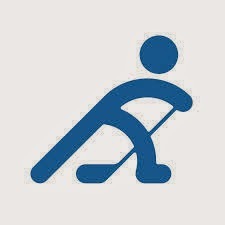 How did our OlymPens do: Brooks Orpik played a steady blue line for Team USA and recorded an assist for his efforts. Not so lucky: Paul Martin, held off of the score sheet again. Evgeni Malkin was held without a point in Russia's shoot out win over Slovakia. Sidney Crosby recorded an assist in Canada's win over Finland, while Jussi Jokinen and Olli Maatta were without a point. No games listed tomorrow. The elimination round starts on Tuesday with the playoff qualification games. 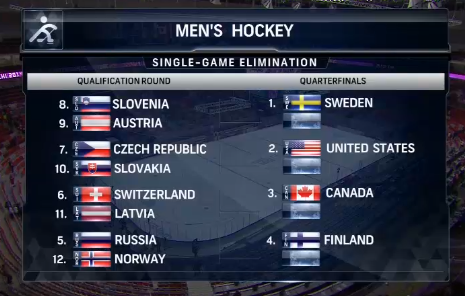 The top four seeds (Sweden, Canada, Finland, USA) are given a bye until the quarter finals on Wednesday. *As of now game not listed as airing in Canada. The listings of the games will be released shortly, we'll have them updated for you on who plays when. Remember to click here for your complete schedule and channel guide.